Dahua CCTV is a provider of video surveillance products and known for quality and affordability. Dahua Advanced security technology safe guards millions of premises across the world.Dahua CCTV helps to protect lives and property effectively and reduce operation expenses significantly. Dahua Security platform platform which offer a broader scale of security and a better watching of the key areas.With video analytics technology Dahua security solution enable easy detection of criminal behavior that reduce the risk of wrong doings across your premise. Dahua CCTV is well suited for home, offices, factories, ATM ,Traffic control and ware houses.As a Dahua distributor in Oman, Muscat we offer complete support for our customers and partners. 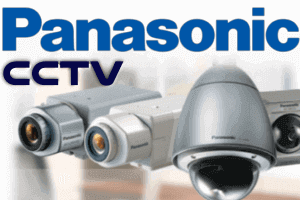 As a proud Dahua distributor in Oman, CCTV Oman take your surveillance in a better way. We help you to design cost-effective security solutions with the Dahua IP cameras and Analog cameras. The range of products we deal with includes DVR and NVR as well. We have core experience in developing solutions with the Dahua security cameras. Being a Dahua distributor in Oman, we help you provide proper security that cover important areas and assets. We are operational in the regions of Abu Dhabi, Ras-Al-Khaimah, Salalah, Bahla, Muscat and Seeb as well.